I love making noodles out of zucchini. If you do not have one of those zoodle making gadgets, don’t fret! A regular vegetable peeler works fine for veggie ribbon noodles! This Raw sesame zucchini noodle salad is one of my favorites because it is so easy, delicious, and healthy. Just peel, toss, and serve! I mean really, you don’t even cook it, how easy is that! Toss on some grilled tofu, and this perfectly light side dish transforms into fully satisfying, healthy lunch or dinner in just minutes! Wash and trim ends from each zucchini. Using a veggie spiralizer (zoodle maker) cut noodles from each zucchini into a large bowl. If you do not have a zoodle making gadget, you can cut ribbons from the zucchini using a regular veggie peeler. Just make long ribbons from the zucchini until you reach the core. The seedy part does not peel well. Add the slaw mix, carrots, onion, sesame seeds, and cilantro to the bowl with the zoodles and toss. In a small bowl whisk together the ingredients for the dressing. You can taste and adjust to your liking. Pour dressing over the veggies and toss. Garnish with extra cilantro, and sesame seeds if you like. Serve at room temp or allow to chill before serving. 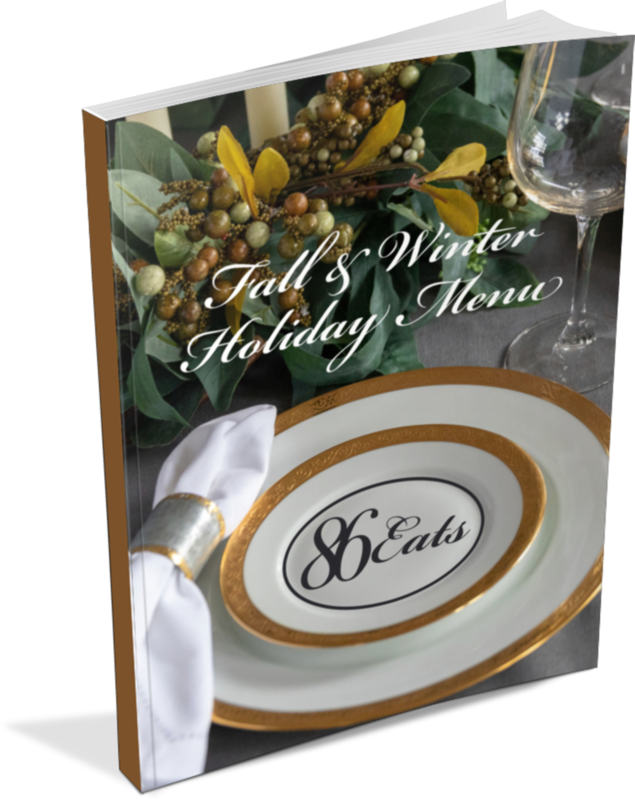 GET OUR NEW E-BOOK, an 18 recipe - plant based fall & winter holiday menu with bonus video content. Sign up with your email address to receive updates about new recipes, news, and blog posts. The Look I Give People When They Ask "Where do you get your protein?" © 2018. All recipes, photos, and content are property of 86 Eats LLC.